DrChrono, the developer of cloud-based electronic health record, practice management and medical billing tools, has announced an expanded partnership with CoverMyMeds, which makes software to help providers expedite insurance authorization processing and gain insight into prescription pricing. The new partnership will allow physicians to access the best available medication option for patients and will soon be able to process prior authorizations through DrChrono’s EHR, the companies say. The electronic prior authorization will save on average up to 15 minutes per prior authorization request and help alleviate administrative burdens associated with the prior authorization process. 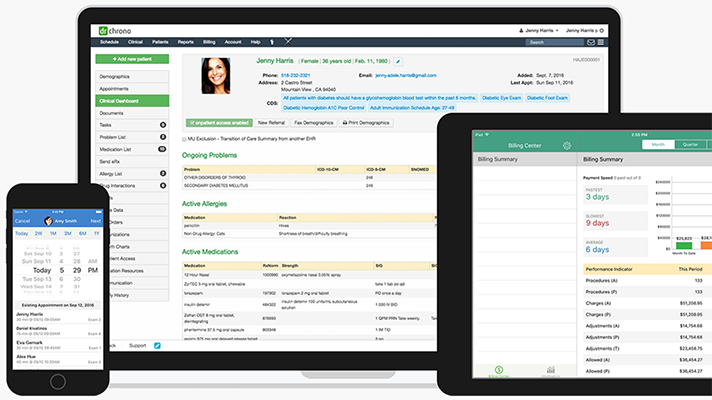 DrChrono touts its EHR platform as the first built specifically for iPad, iPhone and Apple Watch. Some features include customizable medical forms, e-prescribing, and real-time patient eligibility checks and more. DrChrono’s integration with CoverMyMeds will feature a medication decision support platform, RxBenefit Clarity, that uses comprehensive analysis to provide accurate prescription price information at the point of prescribing, according to DrChrono. Of late, more and more EHR vendors are making moves to combine services into one product. In the last two years or so, EHR and revenue cycle software firm Medsphere has made seven acquisitions/mergers including partnerships. On Feb. 27, Medsphere acquired Wellsoft for its emergency department information systems. And other companies are forming partnerships to make life easier on physicians. Meditech and Nuance announced Jan. 31 that they are partnering to combine their EHR and voice technology. “This partnership gives providers access to the most accurate real-time benefit check platform and leading electronic prior authorization technology at the point of prescribing, which helps enhance productivity within the EHR platform and enables patients to be more involved in their treatment plans,” says Ryan Tarzy, vice president of strategy and business development at CoverMyMeds. Diana Manos is a Washington, D.C.-area freelance writer specializing in healthcare, wellness and technology.